Since breaking out with 2013’s endearing single “Pet Carrot,” Ellen Kempner’s guitar work has remained mostly hidden behind the hype that her band Palehound is the “next Speedy Ortiz,” or that her songwriting is influenced by The Breeders and Pavement. On Palehound’s debut full-length, Dry Food, you only need to listen to the tack “Cinnamon” to know this classically trained guitar player isn’t simply another ‘90s-sounding pastiche of torn jeans and flannel shirts. 21-year-old Kempner’s guitar prowess is Palehound’s staff of light, a six-stringed burning ember that guides you through her fractured song structures and doleful take on coming-of-age, the basis of Dry Food, an eight-song exploration of Kempner’s mental inner space during the period of 2013 and ‘14. Complex dynamics keep the album’s tracks from blending together into a giant collage, like the colorful travel magazine cutouts that create the cover art. The only constants are Kempner’s guitar and whispering vocals, which draw you into her dark world on tracks like “Molly,” where her counter-melody guitar riff gets attacked by fuzzed-out power chords. Kempner’s soft vocals puncture the heart with earnestness on tracks like “Dry Food” and create distance with the reverb-soaked “Cinnamon,” where her voice interweaves masterfully with gently strummed guitar chords. In that sense, Palehound belongs more in the vein of rockers like Mac DeMarco and King Krule—sans the MAD Magazine-antics. As a guitarist, Kempner is technically superior to many of her peers, like Mary Timony before her, whose former band Helium was founded in Boston in the ‘90s, near Kempner’s adopted musical community of Allston. Boston is also where Kempner reassembled Palehound into a proper band (with drummer Jesse Weiss of Grass is Green joining) after beginning at Sarah Lawrence in New York. In the process of writing the songs that would become Dry Food, Kempner dropped out of school and moved to Boston. With sketches of loneliness from her time at school, she colored her songs with touchstones to everything from psychedelic-era Beatles (listen to “Healthier Folk”), Pavement’s jagged fuzz and the darkness of Elliott Smith. When Kempner sings to a former lover on title track, repeating that she’s “over it,” the chorus contains perhaps the album’s most beautifully tragic, Smith-esque line: “You made beauty a monster to me/So I’m kissing all the ugly things I see.” On “Molly,” she isn’t quite as somber. Singing about “selfish Molly,” Kempner describes someone who’s “milking all the dudes ’til they bruise,” over dizzying Parquet Courts-tinged guitars, as if to make the point that “you better stick with me” aren’t just words, but sage advice to follow her tangled guitars like a guiding light. On a track like “Cinnamon,” Kempner’s skill as a jazz guitarist shines as she maneuvers up-and-down the fretboad of her Fender Jazzmaster with brilliant precision. It’s a skill she honed listening to the likes of Wes Montgomery and Jimi Hendrix as a child, playing her first toy guitar with magic marker cap as a guitar pick, and later studying classical and jazz in college to develop her ace fretwork. While it’s clear Kempner is influenced by ‘90s indie rock (especially while writing this record), her soul seems to belong to jazz and ‘60s rock ‘n’ roll, everything from psych to surf rock, which you can hear on the first surf chord that introduces “Cushioned Caging.” The reverberating chord, combined with the shimmering cymbals creates an almost Eastern-sounding verse. Kempner also doesn’t produce the same sort of hook-filled rock of Speedy Ortiz’s Sadie Dupuis, who is both her roommate in Boston and closest musical kin. On Dry Food’s eight heartbreaking observations, she teeters between aching insecurity and crushing tenderness, rarely allowing sunlight to peak through the clouds on songs like “Healthier Folk,” which includes some of the darkest moments on the record and creates the feeling of a tortured outsider being teased from a distance, peeking though bars of a self-constructed cage, sickened by what they see. Kempner is the outsider. “Mouth ajar watching cuties hit the half pike,” she sings. Dry Food bleeds with emotional truth through a thorny lineage to Kurt Cobain-esque dissociation (in which Kempner prefers her adopted pets to most humans), and mental anguish—which is why it was written in isolation, with Kempner playing all the parts except for drums. 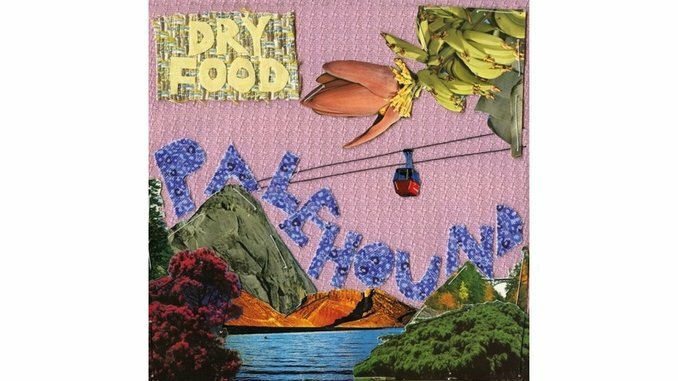 While the final three tracks, including “Dixie” and “Seekonk,” have a dreamy quality to them, Dry Food seems possessed by the ghost of Elliott Smith. There are painful reminders all over this record of what it feels like to be tortured, lonely, abused and directionless—which can be exhausting through eight sugar-free songs. Most of Kempner’s lyrics aren’t easy to decipher, either, but combined with nuanced minor key changes, and juxtaposed with her childlike falsetto (especially during the sing-along finale of “Seekonk”), they remind you of the dark-twinkle in the eyes of Sylvia Plath, where nothing is as it seems—like daydreaming over magazine cutouts of paradise, beyond reach.